We have an extensive and talented team of landscape designers and installers. Allow us to introduce ourselves! We have many examples of our landscape work for you to see. Take a look for yourself! Ever since Dan and Sue Sandager purchased the Nursery in 1974, we have been passionate about great landscape design and quality installation. This part of our business has changed and grown dramatically over the years, but the one constant is our desire to please each client. Today, our designers and installers specialize in both residential and commercial landscaping and can tackle any challenge that arises in the landscape. 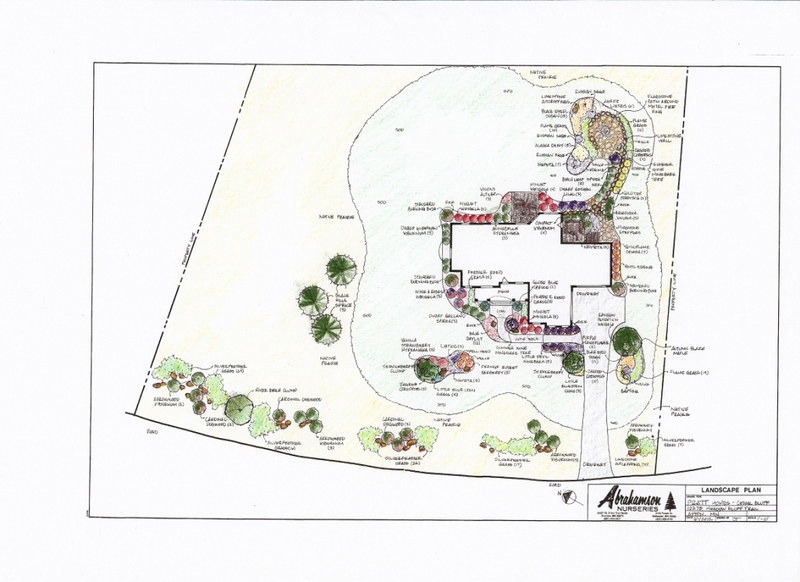 All of our talented landscape designers have many years of experience both in the design office and the field. We start the design process by meeting with you and listening to your wants, concerns, needs, likes and dislikes. We then use our creativity to develop solutions that are functional yet beautiful, designs that fit into your lifestyle and budget. We are well versed in all design styles, along with plant and hardscape materials, allowing each design to be unique and beautiful for many years to come. To contact one of our designers at Scandia please call (651)433-2431 or our Stillwater office at (651)439-4239. Our crews are proficient in all kinds of landscape projects, including patios, retaining walls, water features, and much more. Our foremen are all MNLA certified, and have many years of experience in the field, assuring that we can find quick and long-term solutions to any problem that comes up on a job. We communicate well with each client on site to make sure the work is being completed the way you want it to be. We strive to always be courteous, professional, efficient and neat. Our team will be there on time, clean up before we leave, and work hard until the project is completed to your satisfaction.